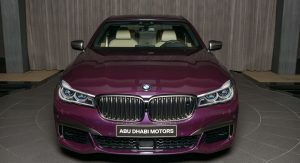 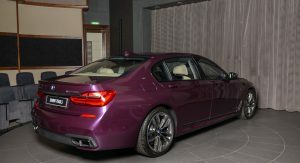 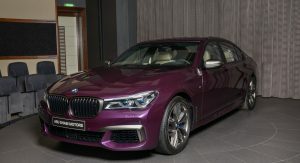 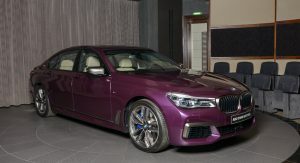 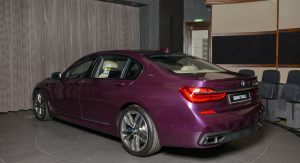 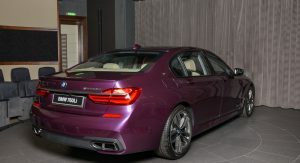 One of the most frequently customized luxury saloons in the world has been spotted wearing a fresh new shade of purple, dubbed ‘Purple Silk’, courtesy of BMW Individual. 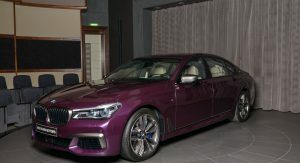 Seen here on a flagship M760Li saloon, aside from the bespoke shade of purple, the limousine also comes with blue calipers for the wheels and a little more blue up front courtesy of its advanced Laserlight headlight technology. 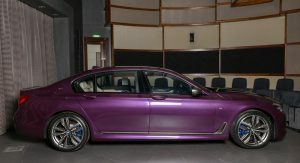 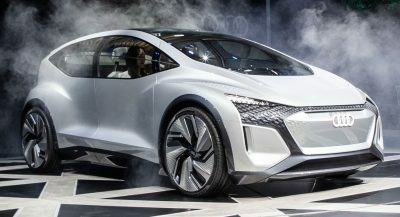 The owner of the car clearly didn’t want to experiment with the interior, though, which is why they chose a beige leather look for the seats, lower dashboard and most of the door panels, while black leather can be found on the upper dashboard, upper door panels and the steering wheel. 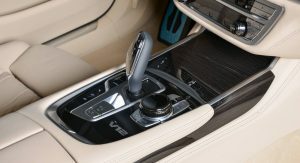 There is also some dark wood trim used on the dash, center console and doors – a pretty standard configuration for the 7-Series. 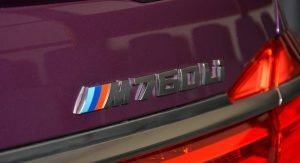 Now, in case you didn’t know what’s under the hood, that big ‘V12’ inscription on the console is a telltale for the 6.6-liter V12 powering the M760Li. 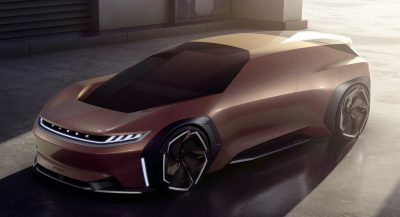 Power and peak torque figures are 610 PS (601 HP) and 800 Nm (590 lb-ft), enough to get you from zero to 100 km/h (62 mph) in just 3.9 seconds, before hitting an electronically-limited top speed of 250 km/h (155 mph). 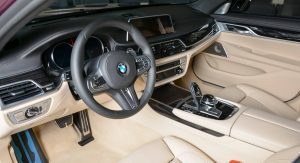 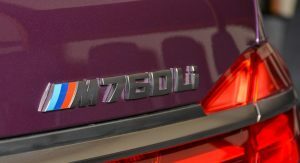 All that power is sent to an xDrive all-wheel drive system via an 8-speed automatic transmission, which is one of the most efficient powertrain set-ups you’ll find in this segment. 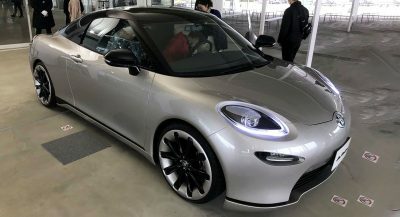 The only statement it makes is : Plain ugly! 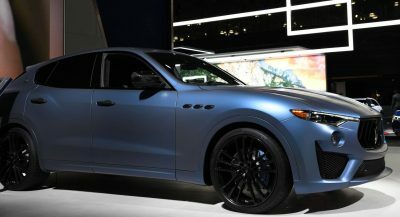 If it isn’t everyone’s favorite establishment that sells motorized vehicles from a certain Bavarian automaker located in a particular oil rich region of the planet. 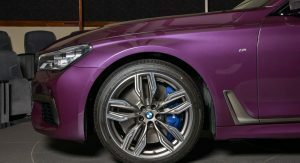 First port of call is the paint shop to change the color of the brake calipers. 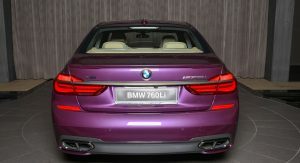 Next is to get the heat gun out and remove the V12 badge from the panel behind the rear side windows. 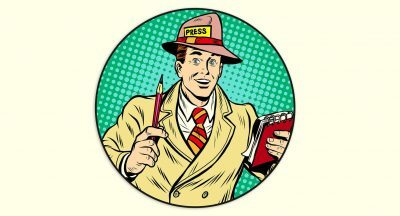 That place again. 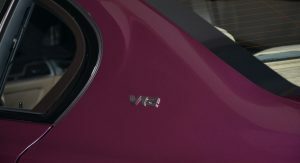 You know the one.